Acne is the ultimate proof that the struggle is real. While we thinks acne is only a problem affecting teenagers, the sad reality is that there are millions of adults around the world dealing with this particularly frustrating disease affecting the skin. If you are a victim of adult acne, chances are you may have tried just about everything to get rid of it. Understanding why acne attacks and taking action could result in uncovering beautiful skin. Find below a list of the most common causes of adult acne. And what you can do to treat it effectively. An imbalance can lead to breakouts. Women often experience hormonal changes around their periods, during pregnancy, perimenopause and menopause. Experts say stress can lead to acne by signaling the release of cortisol. It is a hormone that tells your body to produce more pore-clogging oil. Conclusion, relax! Greasy food doesn’t cause a greasy face, but items such as simple crabs, sugar, dairy and chocolate –may exacerbate an already-brewing condition. Such foods could trigger skin’s inflammatory response and provoke a breakouts. Findings from research studies suggest that some people may have a genetic predisposition for acne. People who have this predisposition seem more likely to get adult acne. In other words if your father, mother, sister, brother have acne –you’re screwed. 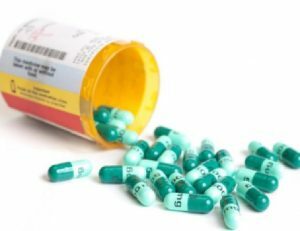 Acne could be a side effect of a certain medicine you’re taking. If you suspect that a medicine is triggering your acne or making it worse, continue taking the medicine. Talk with the doctor who prescribed it. If acne is a possible side effect, ask if you can take a different medicine. If you cannot take another medicine, you may want to see a dermatologist. Believe it or not, experts say over-washing your face could make your acne worse. What happens is that if you wash your face more than twice a day, your face may turn dry. This will cause it to produce more oil to overcompensate. Medications that affect hormones, like birth control pills, can help control acne. Your dermatologist might also discuss the possibility of giving you antibiotics –after all acne is a skin infection. Light therapy, or PDT, uses lasers to treat acne. Some people say it hurts. Vacuum therapy also works with lights. 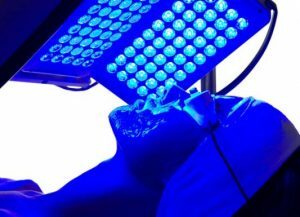 There is also blue light therapy –which penetrates follicles to kill off acne-causing bacteria. Be aware that these options can be expensive. Australian researchers found that people who followed a low-glycemic index (GI) diet (which is low in refined carbohydrates like those found in white bread) had a 22% decrease in acne lesions. 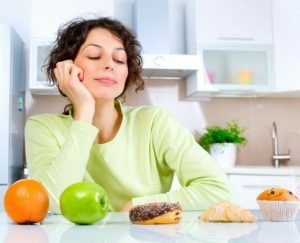 N not having a balanced diet and eating too many refined carbs can cause problems, so try to avoid them. For mild to moderate acne, dermatologists often suggest a cleanser with bacteria-killing benzoyl peroxide. 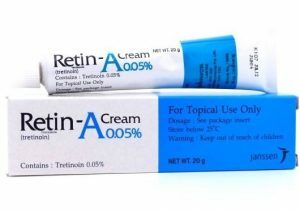 Stronger cases may call for prescription retinoids, standard retinoids include Retin-A or Tazorac. Combining retinoids with antibacterial is also common when treating acne. It’s widely known stress can make your acne worse and is certainly not good for your overall health. 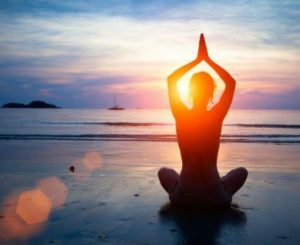 You could try regular exercise, mediation, yoga, massages. Whatever makes you feel more calm, could ultimately calm your skin.